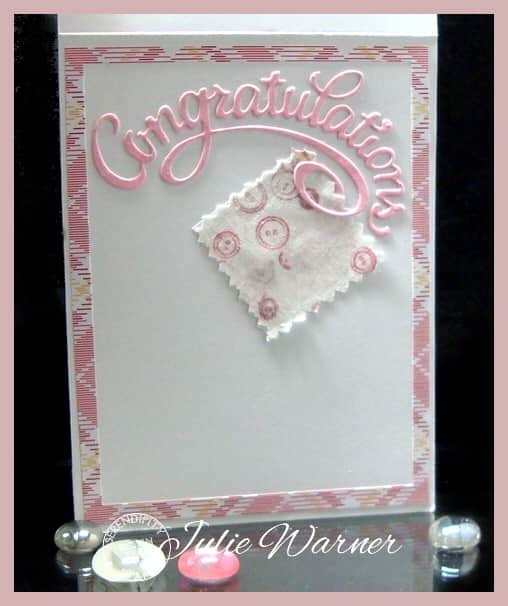 Welcome to the August Challenge for Serendipity Stamps! This month the challenge is Add Fabric! 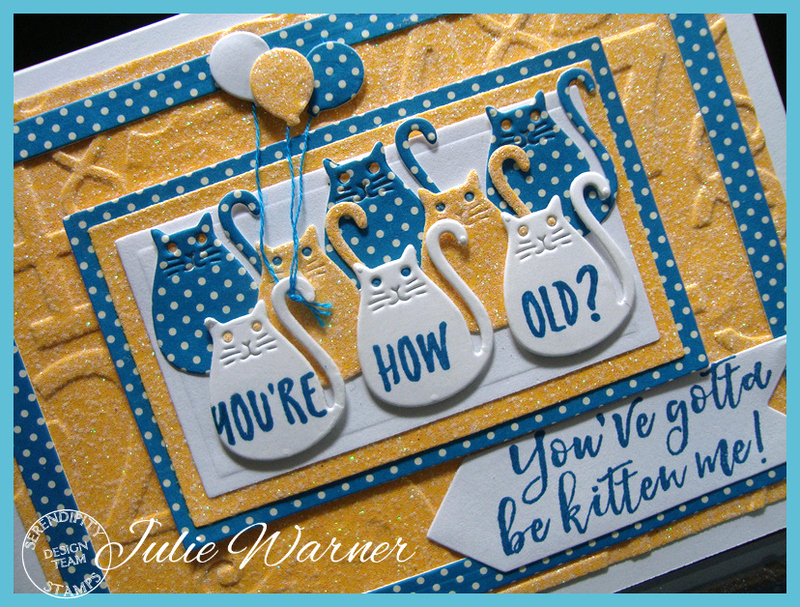 You can get all the details over on the Serendipity Challenge Blog. 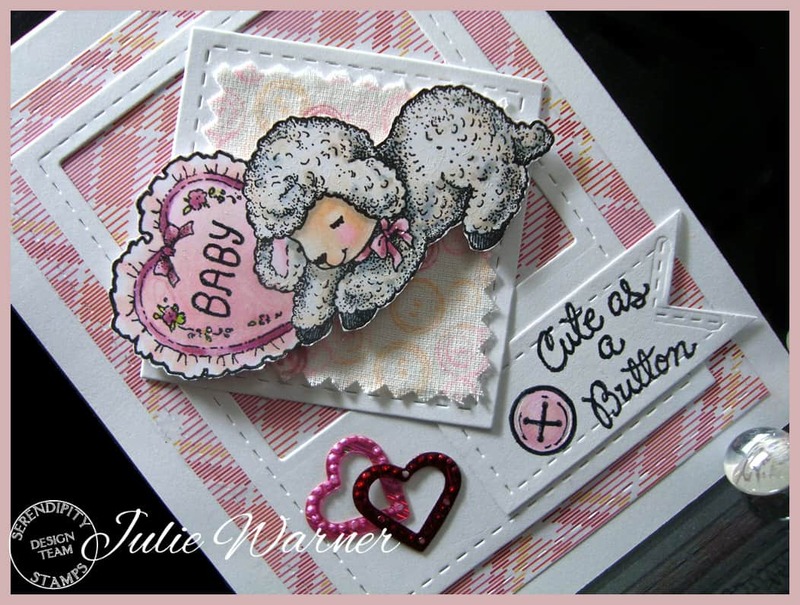 August’s “Stamp of the Month” is 50% off & this month- it’s the Lamb w/ Heart! Be sure to check out the Yard Sale items and the great deals on the Clearance Stamps! And as always, we have a gift certificate up for grabs to a random player. 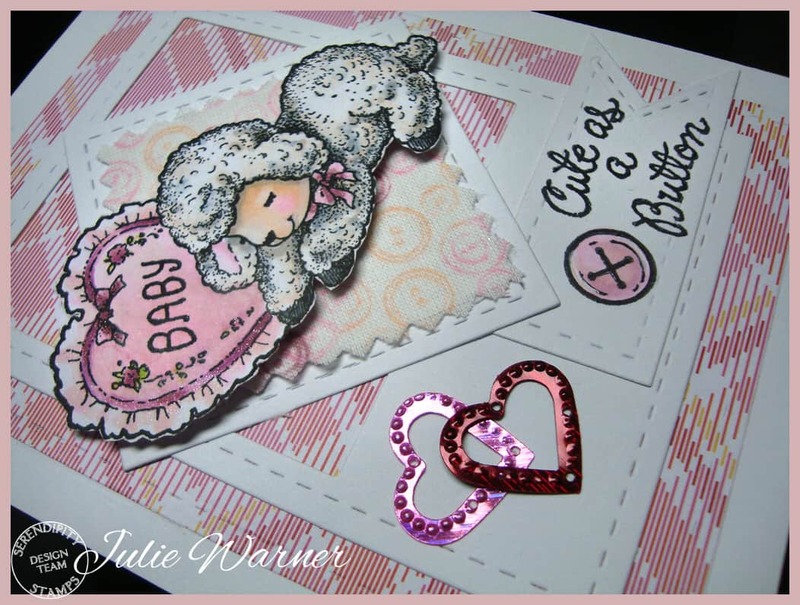 To make my Baby Lamb card, I put the oh so sweet image into my Misti, stamped it w/ Memento, colored it w/ Copics then over stamped it w/ Versafine. 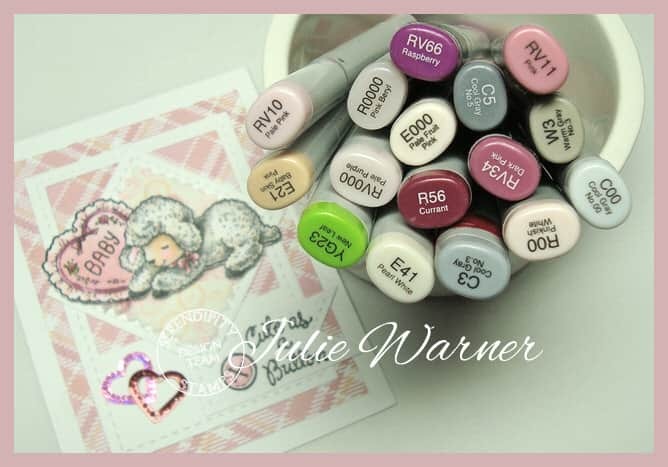 When I was coloring the little lamb w/ the cool grays, I thought she was looking a little too cool so I added a little warm gray to give her a little depth & warmth & added some earth tones to her face. A little Wink of Stella was added to her bow and also the dark pink trim on the heart. The little piece of muslin was stamped w/ the button corner image using part of the Kaleidacolor ink & the rhubarb ink, attached to piece of heavy white paper, trimmed w/ pinking shears then attached to stitched square piece (this was a rectangle but after cutting it, I moved one end up to shorten it into a square & cut that end again). 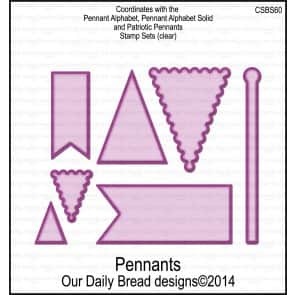 The greeting flag was just a stitched rectangle & I took the corner of the rectangle die, turned 45 degrees to cut the notch for the flag tail. Here’s a look at the inside & below it are the Copics I used. I’m also adding this to the Simon Says Wed. Challenge – Celebrate! Please be sure to visit all the DT Blogs! It will be so appreciated & also increase your chances of winning! ODBD April Release Another Look! 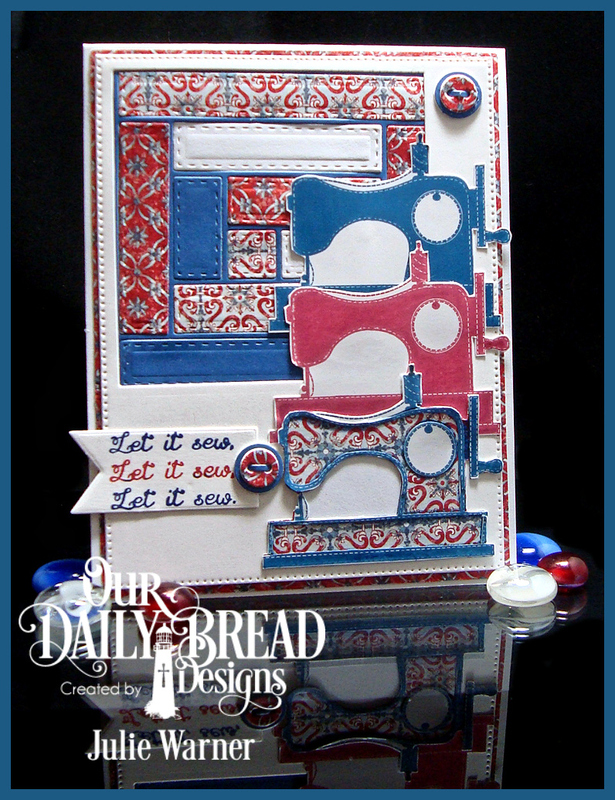 Today we are taking another look at the Our Daily Bread designs April release! Aren’t the Quilt images & dies fabulous? And the papers are beautiful! 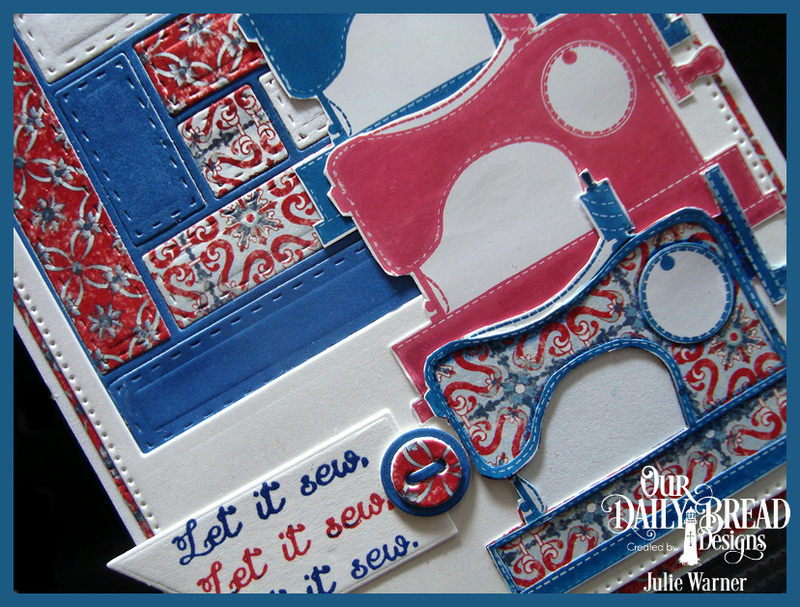 For my quilty/sewy card, I’m featuring this cute, cute, cute little sewing machine & greeting (from A Time to Mend), Log Cabin Quilt die & some papers from the Americana Quilt & Old Glory collections. Since the greeting is 1 line repeated 3 times, I had the idea to add 3 sewing machines in 3 colors but to get the best impression on this solid image, I stamped it w/ the Memento inks onto a semi-glossy photo type paper. 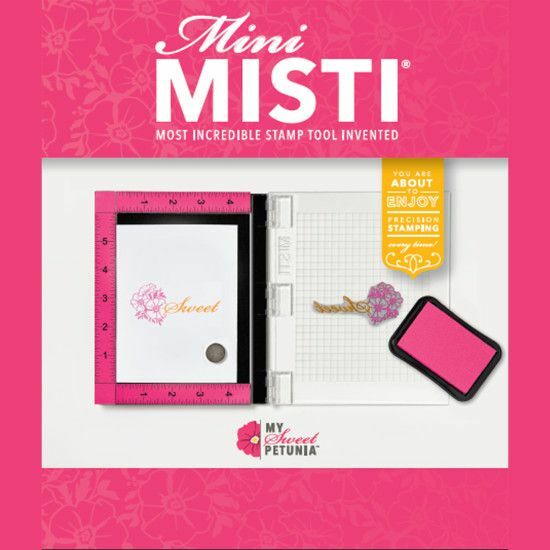 It helped tremendously to have it in my Misti so I could stamp it more than once to get full coverage. For the print version, I inked just the outline of it & stamped it onto the paper then stamped it again on the photo paper & paper pieced it. I will mention, after I fussy cut that tiny outline, I realized it would have been much easier to just fussy cut the inside & attach it over the the other image. Oh well..live & learn! I die cut the Log Cabin Quilt 4 times..1 white, 1 blue & 2 different prints, then arranged them inside the solid blue version outline. A large square was die cut out of the white front & placed on top of the quilt w/ all the fussy cut sewing machines on top. 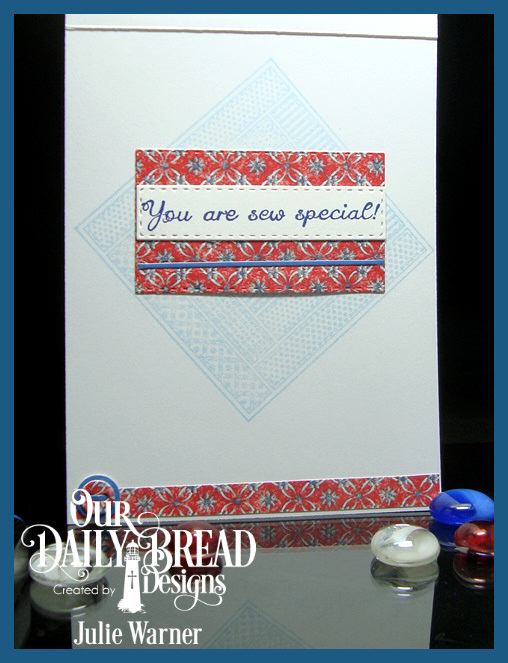 I used the Misti again to stamp the greeting 1 line at a time using the blue & red Versafine inks. Some buttons (from the Matting Circle dies) were cut, stacked & attached. Please be sure to visit all the DT Blogs for more inspiration! The Ways to Use It Challenge (WT560) has us putting a Christmas sock on our project. So I have a Christmas stocking w/ a button & bow topper. I fussy cut a stocking shape & stamped it w/ one band of a woven plaid image then used a red Micron pen to add the borders on each band. A polka dot stamp & white pigment ink were used on the red topper, heel & toe. The woodgrain background was stamped onto a lt kraft using Memento desert sand. 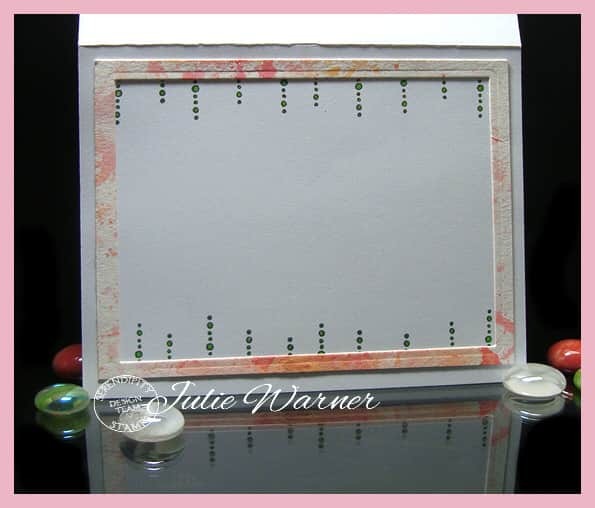 I added the ribbon & button and a couple of Candi dots to balance out the empty corner & I used a stitched rectangle on the white card front. Thanks so much for stopping by! 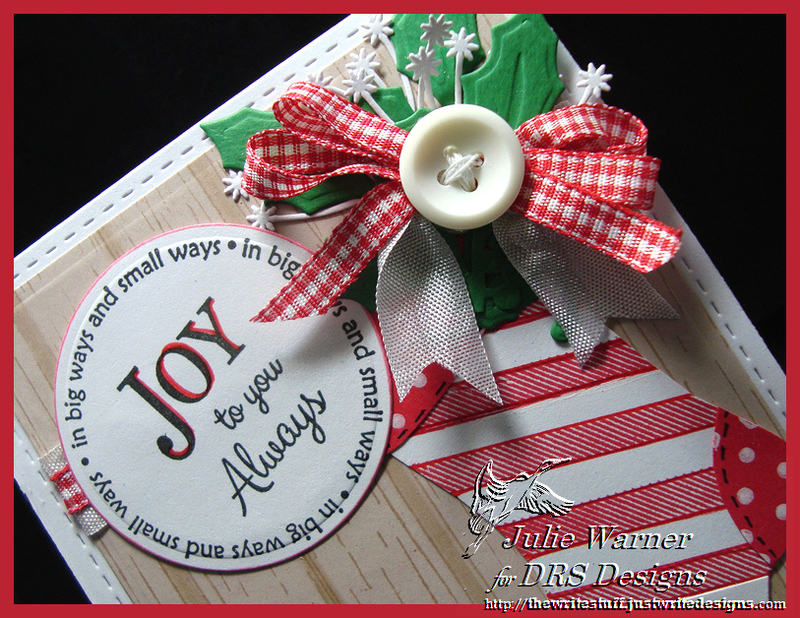 If you haven’t, head on over and check out the DRS Thursday Challenge…this week, Tags! 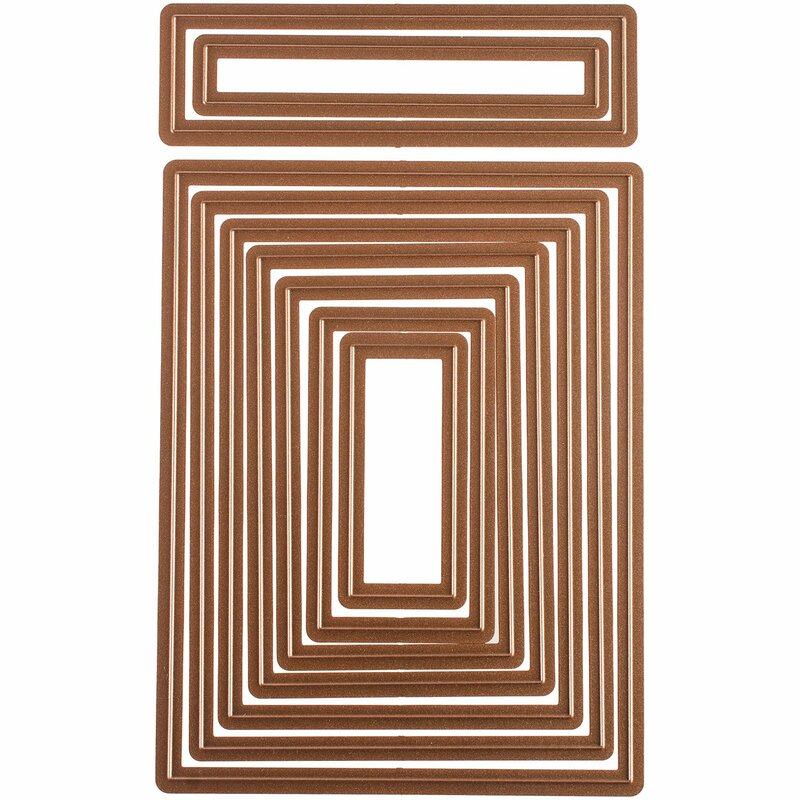 Make a tag or have one on your project. DRS images are not required & there’s a nice prize up for grabs.